“I have something important to tell them,” said Wayne. 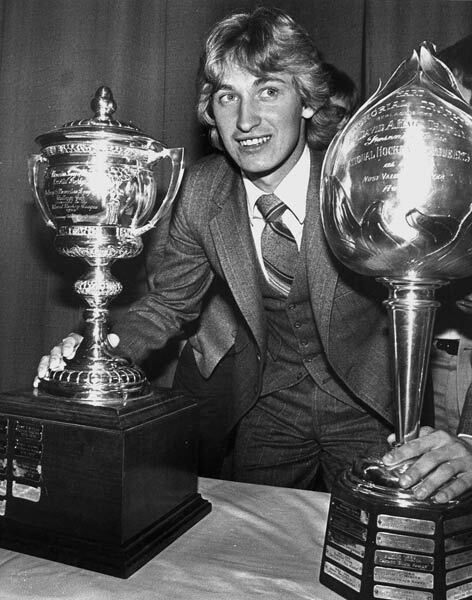 Wayne Gretzky turns 50 today. He and I were born the same year. When Gretzky was traded/sold from the Indianapolis Racers to the Edmonton Oilers on November 2nd, Oilers’ head coach (and family friend) Glen “Slats” Sather figured Gretz and I should meet. And, of course, Wayne didn’t know any other teenagers in Edmonton. Few get to watch the birth of a star – from the inside – but I did. The night after he arrived in the Alberta capital, Gretzky played his first game for the Oilers. Of course, I was there. 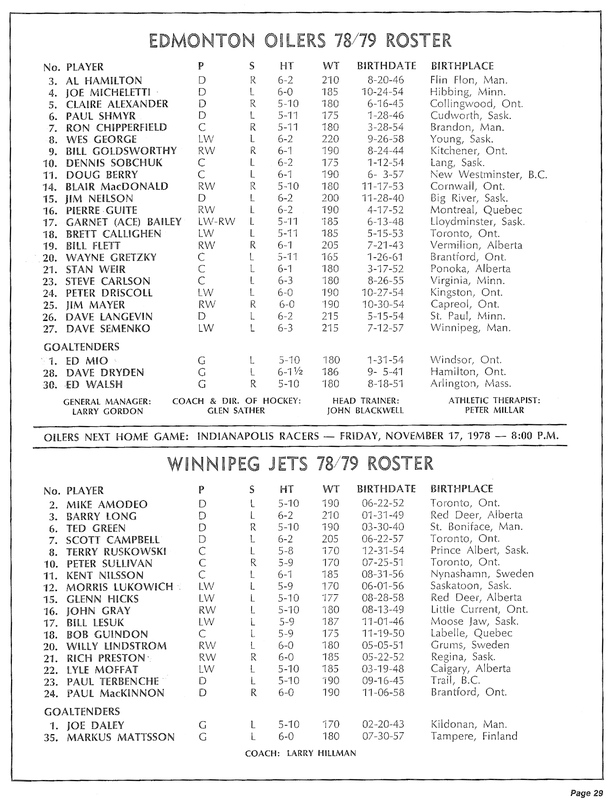 In the program (see left), he was listed as wearing number 20. He did not. But he did score his first goal, unassisted, just 14 seconds into the second period. The Oilers beat the Winnipeg Jets, 4-3, in overtime. The WHA played regular-season overtime games long before the NHL even thought of them. The league was way ahead of its time – especially when it came to signing young phenoms like Gretzky. Wayne and I saw a lot of each other that season. I went to almost every home game the Oilers played. And every weekend practice. Drove to and from the rink with Slats and Gretzky a lot. Lots of talk about hockey. About the Oilers. About life. About the fact neither Wayne nor I could drive Glen’s Ford Bronco standard. Wayne enrolled at my high school, Ross Sheppard, but didn’t go to many classes. Not surprising. He was a little busy. Day by day, over Wayne’s only WHA season, he kept proving to other teams that he was the real deal. Years later, our family friendship with Sathers helped springboard me to a job producing Hockey Night in Canada. 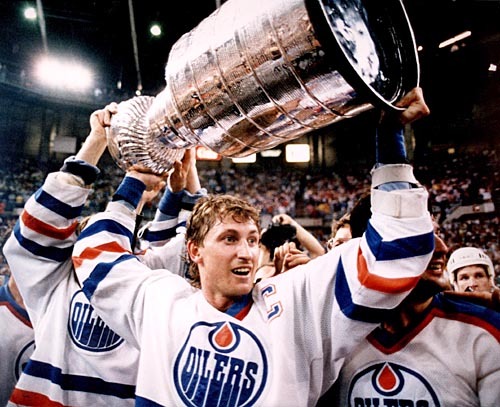 By my best count, over the course of his 21-year professional career, I was blessed to watch Gretzky, and his Oilers’ dynasty, play in person about 500 times. Saw the 50-in-39. Produced the game in which he scored his 1,000th career NHL point and the one in which he passed Jean Béliveau to become the NHL’s all-time leading scorer in the Stanley Cup Playoffs. You know where he ranks on my all-time list of greats. When my parents came to the door, Wayne Gretzky explained to them that he was sorry, but he’d decided to billet with a nearby family rather than at our house. My parents shook his hand and said, “No problem, Wayne. Thanks for letting us know in person.” I had been really hoping he would opt to stay with our family. Either way, Gretzky was about to explode as the greatest player ever – and I had a front-row seat. Great One…and you are turning 50!